Mike Roberts, former president and CEO of fast-food chain McDonald’s, has co-founded Lyfe Kitchen, a restaurant that aims to “do healthy food on a fast-food scale.” In the wake of the documentary Super Size Me, McDonald’s has made a conscious effort to try and present themselves as a healthier restaurant, selling products such as salads and deli sandwiches. However, not many people are convinced and it seems that the former CEO is one of them. Lyfe Kitchen is the bemusing abbreviation of ‘Love Your Food Everyday’. Robert’s aim is to sell food that is made with “no butter, no cream, no white sugar, no white flour, no high-fructose corn syrup, no GMOs, no trans fats, no additives.” Not just that, but Roberts is thinking big and wants to open 500 to 1,000 outposts of the restaurant across the country in the next several years. It is not just cous cous and arugula that will be on the menu. Like McDonald’s, Lyfe Kitchen will also cater to those who like a bit of meat in their diet and serve free-range chicken and burgers made from grass-fed, humanely raised cattle. It also doesn’t just appear to be a publicity stunt, as Roberts was infamously responsible for putting Apple Dippers onto McDonald’s menu – an act which made McDonald’s become the nation’s largest seller of apples! Clearly Roberts is a man with a passion and this could be a major boost to the organic food industry, not to mention US farmers. 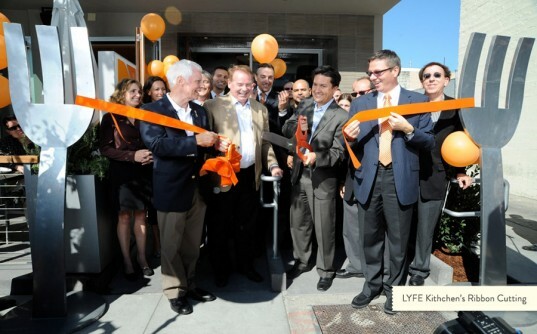 Lyfe Kitchen have also said that they are working on safer, more energy-efficient food preparation techniques, such as using fewer preservatives. Of course, such high-quality organic produce is not going to be as cheap as food you’d get served at McDonald’s. 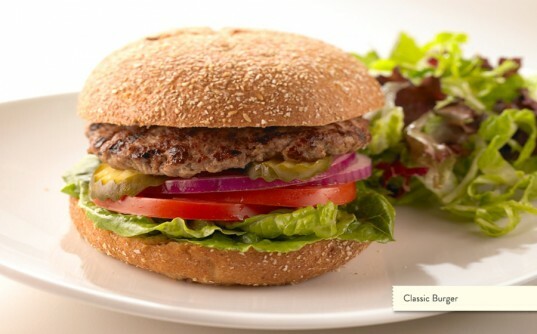 A Lyfe Kitchen burger will set you back $8.49, but at least you’ll know you’re eating beef as opposed to pink slime! It definitely looks like Roberts can talk the talk, and if he can make Lyfe Kitchen as popular as McDonald’s, then we can’t wait to visit.. I would take people there. Hope they also have vegetarian/vegan food, too. How 'bout the labor issues? Will they still be dodging the minimum wage? Trying to get their workers to do as much as possible for as little pay as possible? This has been tried many times before and it seems to fail each time. It starts off great but over time the food quality deteriorates in order to cut cost and maximize profits. I'll believe when I see it and can taste it and hope to God it stays that way. Does this guy seriously want us to believe this will be high quality food? Well, I'm hoping they will surprise me, but I'm not optimistic. There is no such thing as healthy/high-quality fastfood(apart from salads). Believe it or not, even McDonald's or Burger King claim to have healthy choices, but I wouldn't even drink water or eat salad offered by any of these chains. They didn't say it was going to be all organic. In my opinion it will probably just be slightly better garbage than McDonald's. Garbage is still garbage though. It would be great if it was actually as healthy as they say it's going to be, but no butter, no cream? Why? CEO's need to hire nutritionists to tell them how to make a menu. Organic food may be more expensive in the short-run, but it could help you save money in the long-run when you get sick less often and etc. Anyways, this is just my opinion. Mike Roberts, former president and CEO of fast-food chain McDonald's, has co-founded Lyfe Kitchen, a restaurant that aims to "do healthy food on a fast-food scale." In the wake of the documentary Super Size Me, McDonald's has made a conscious effort to try and present themselves as a healthier restaurant, selling products such as salads and deli sandwiches. However, not many people are convinced and it seems that the former CEO is one of them.